Pocket meetings appear to be the mo­dus operandi for Opposition political parties contesting the 2018 general election. They have somehow discovered that it is cheaper and more effective than the big campaign rallies of the past. The bigger the meeting, the bigger the expenses in terms of yaqona or kava and food. Some go along to these meetings be­cause of the free yaqona and food in some cases. The small meeting is also a ploy used by some parties to hammer home their propa­ganda, away from the media spotlight. Most of the people who attend are converts and diehard supporters. Politicians on the campaign trail know that every scrap for votes is crucial be­cause every vote will count. This is especially so for the Opposition parties trying to topple the FijiFirst Gov­ernment. They know it will require a mas­sive effort and its associated costs to do it. They are up against a juggernaut which is a well oiled machine in terms of organisa­tion and funding. Not only the opposition parties are inter­ested in when FijiFirst will announce its provisional candidates. The whole of Fiji is anxious to know be­cause there are indications that FijiFirst will field a powerful lineup to make a state­ment – that it should be given another mandate to continue its development pro­grammes. When that happens it may be an indica­tion that the election dates are not far way. FijiFirst is buoyed by its confidence that despite what the Opposition is saying, it has done more than enough to be returned to power by the people to govern the coun­try for another four years. But let’s not ignore or write off these pocket meetings. Like I have said they are an important tool to consolidate the par­ties’ message to the people. 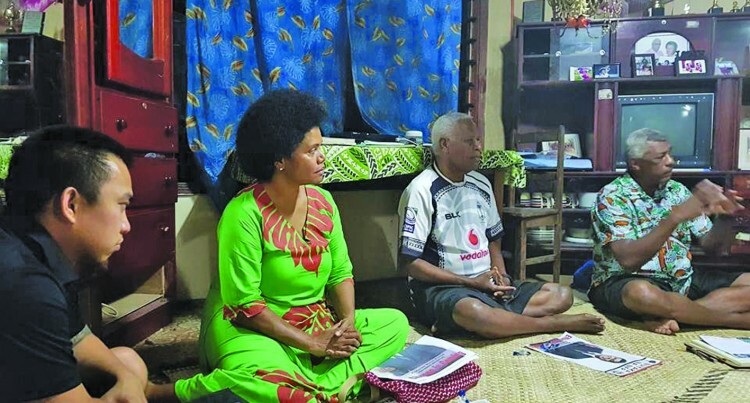 All four Opposition parties, SODELPA, National Federation Party, the Fiji Labour Party and Unity Fiji are now fully engaged in these small pocket meetings, particular­ly in the rural areas. It probably explains why the NFP has made significant gains, scoring double dig­its for the first time in the Fiji Sun-Razor opinion poll. FLP and Unity Fiji have also improved their standing. It will be interesting to see what happens when FijiFirst launches its campaign and begins responding to what rival parties have so far been saying about it. While we should expect the parties to fo­cus on the daily bread and butter issues, the campaign could still turn ugly. We could see a return to the divisive politics of the past with the use of race and reli­gion by desperate Opposition politicians. We are already seeing signs – the attack on personalities and their political history. The increasing activities on social me­dia by the political parties to spread their propaganda will become even more in­tense as we move closer to the election. But I would like to repeat what I have said before and that is the voters are going shopping and looking for the best deals in this election. They will be attracted to a party that gives them the best value for their vote. That means a party that will provide them with the opportunity to better their living standards and offer them security, peace and stability. Other issues are of little or no conse­quence to them. While the Opposition par­ties are currently fully engaged in these pocket meetings, their test will happen when FijiFirst launches its campaign.